[Windows only] If you own an iPhone and work mostly on Windows, you will find limitations and restrictions to managing your iPhone data via iTunes. You will probably need another app to manage your contacts, edit your calendar and yet another to backup your text messages. Should managing your iPhone data really be such a hassle? Well, not when you use CopyTrans Contacts, a Windows program that allows you to manage your iPhone contacts, calendar and text messages all from the same app. 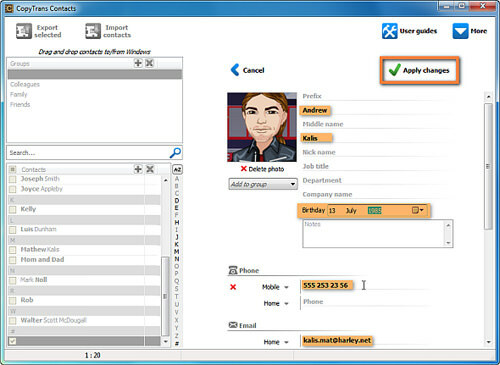 To start, download and install CopyTrans Contacts. After installing, connect your iPhone to your computer via USB. Now, run CopyTrans and choose CopyTrans Contacts. 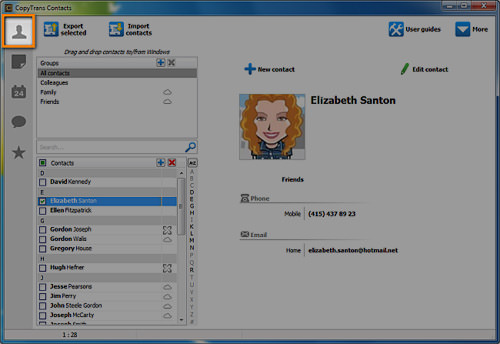 Then, click on the ‘Contact’ icon on the left sidebar to access the Contacts page. You can add a new contact by clicking the ‘+ New contact’ icon. 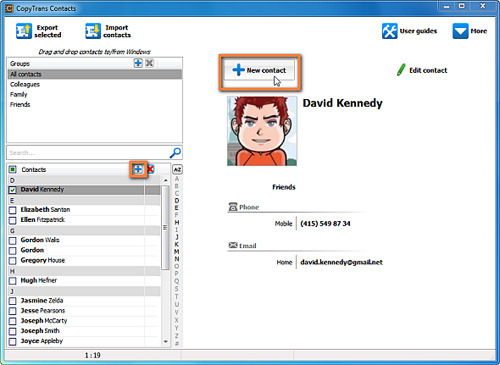 It will open a new page where you input the details of your new contact. After you’re done click ‘Apply changes’ and it will save to your phone. You can also back up your contacts using CopyTrans. To do this, just click on ‘Export contacts’. 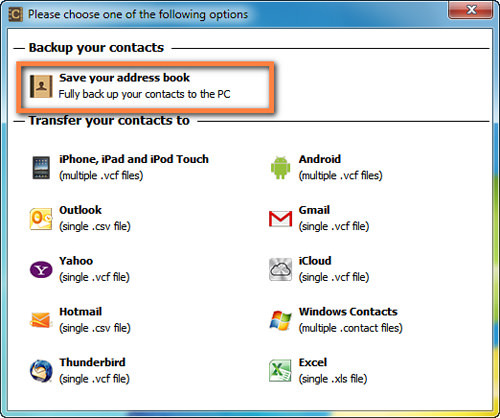 It will open a new window which will show different types of backup options you can choose from. 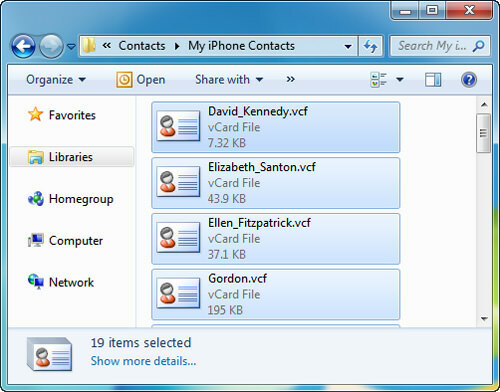 You can save your contacts to your computer or transfer your contacts to other devices. 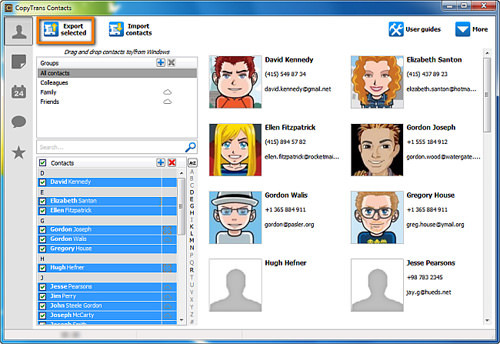 After choosing ‘Save your address book’, all of your contacts are now saved in your computer. To manage your calendar with CopyTrans, first, connect your iPhone via USB to your computer, run CopyTrans and wait for it to finish syncing. 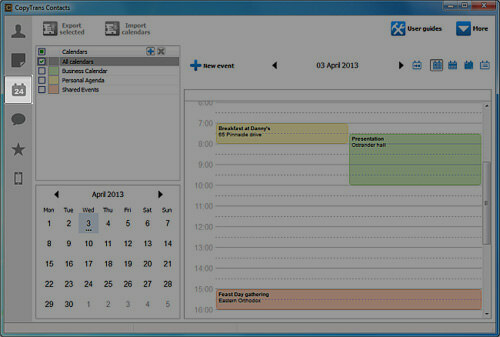 Now, click on the ‘Calendar’ icon on the left sidebar. 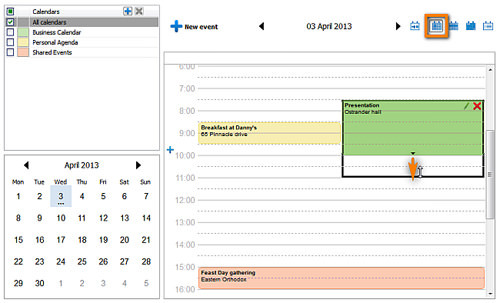 You’ll notice that all of your calendar events are displayed. 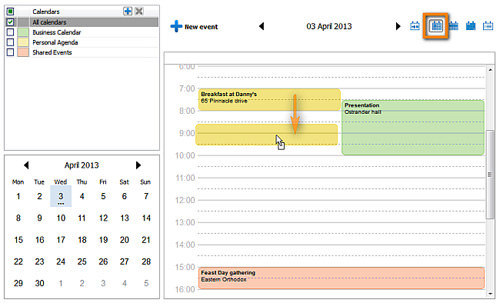 To edit your calendar, just click on the selected event and you can drag it and drop it to the time slot you want. You also can adjust the starting time and the endtime for the event by dragging the bottom line of any hour and extending it to the hour you want. 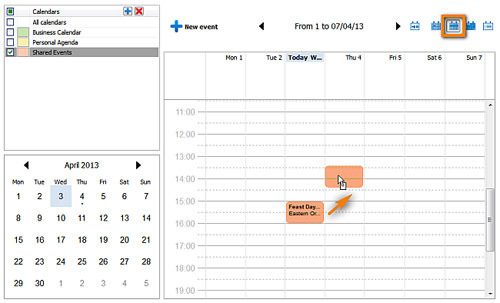 To change dates of events, navigate your calendar to ‘week view’ or ‘month view’ and simply drag the event to a different date. 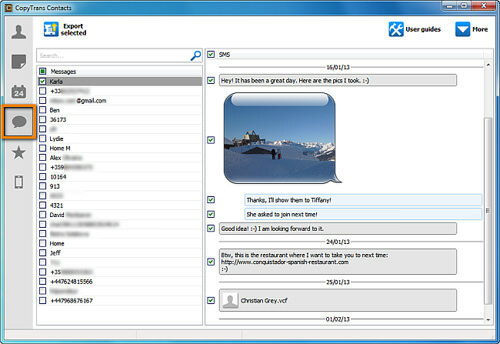 Apart from managing your SMS, CopyTrans also can be used to manage your MMS and iMessage. Connect your iPhone to your computer via USB. Click on the ‘speech bubble’ icon and your messages will load. 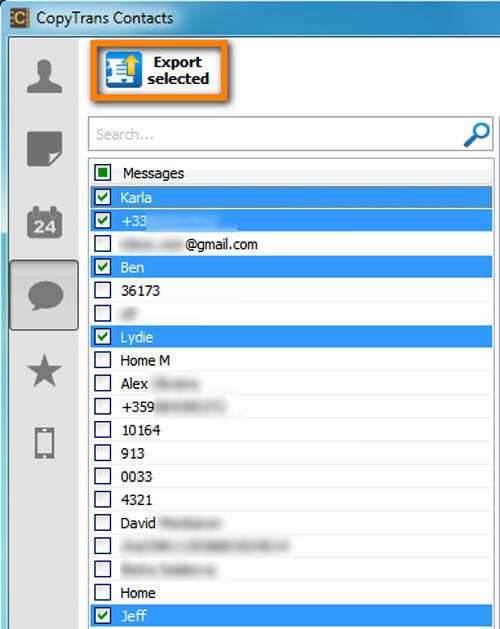 On the text messages list, there’s a small box on the left where you can tick which message history you want to back up. Tick the ones you wish to back up and click on ‘Export selected’. After exporting it, the backed up files will be in HTML format. 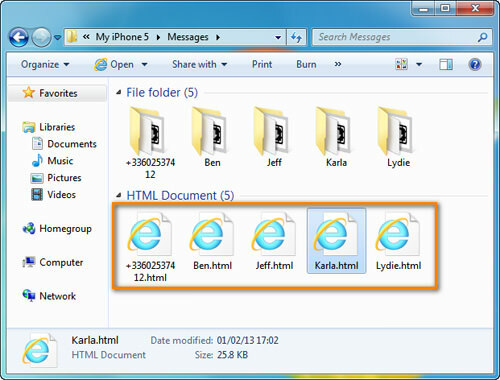 Double-click on the backed up files and it will open on your default browser where you can read your messages. The free version of CopyTrans only allows you to do 50 actions, so, when you’re out of actions you can’t edit anything anymore on CopyTrans. However, you can gain more ‘actions’ by helping to spread the word about CopyTrans on Twitter or Facebook. 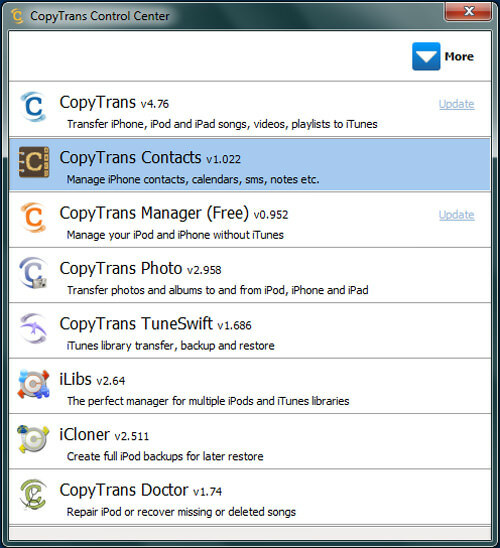 Alternatively you can buy CopyTrans for a one-time fee of $12.99, with 1 year of free updates. Note that after this first year, you will not receive anymore updates.